In this large-ensemble disaster movie, Mel Bakersfeld, the general manager of a Chicago-area airport, must contend with a massive snowstorm & other issues, both work-related & personal, while the troubled D.O. Guerrero threatens to blow up an airliner. As pilot Vernon Demerest attempts to calm Guerrero down & dissuade him from setting off explosives on the plane, tensions increase in the air & on the ground, & danger is imminent. When an in-flight collision incapacitates the pilots of an airplane bound for Los Angeles, stewardess Nancy Pryor is forced to take over the controls. From the ground, her boyfriend Alan Murdock, a retired test pilot, tries to talk her through piloting & landing the 747 aircraft. Worse yet, the anxious passengers – among which are a noisy nun & a cranky man – are aggravating the already tense atmosphere. The story about the mid-air hijack of a multi-millionaire's private 747 carrying a collection of priceless works of art. The terrified pilot is forced by the hijackers to fly low to avoid radar detection &, as a result, the plane hits an oil rig & crashes into the sea. As the stricken airliner sinks, its passengers & crew are faced with a nightmare fight for survival. Journalist Maggie Whelan discovers that her married boyfriend, Kevin Harrison, heads a company that is involved in illegal arms sales. To stop her from going public, Harrison decides to kill her by bringing down the Concorde she is taking from Paris & Moscow. It is up to pilots Paul Metrand & Joe Patroni to keep the plane aloft & intact in the face of repeated missile attacks from jets sent by Harrison. Because Michael apparently didn't realize when he posted these threads without watching them, the reason why there's so many damn Airport disaster flicks is because it's an entire FRANCHISE that Michael somehow managed to miss the third installment of entirely when he was posting these threads. But I didn't! So, ya, the other threads could honestly probably be trashed & each installment can probably be edited into this post to do away with clutter since Michael hasn't even seen any of the series that started with what has been cited as "the Iron Man of disaster films" yet, so, it looks like someone's slacking. 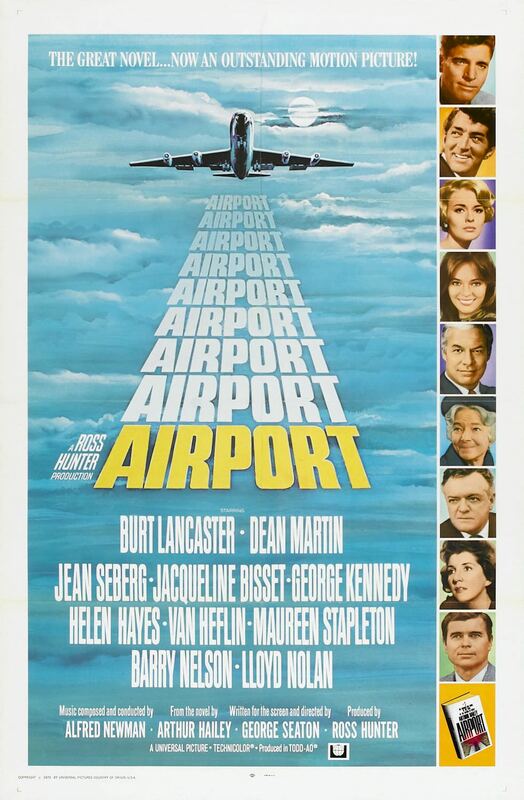 -Airport (1970) – 7.5 criminal stowaway grannies getting smacked by a stewardess outta 10. 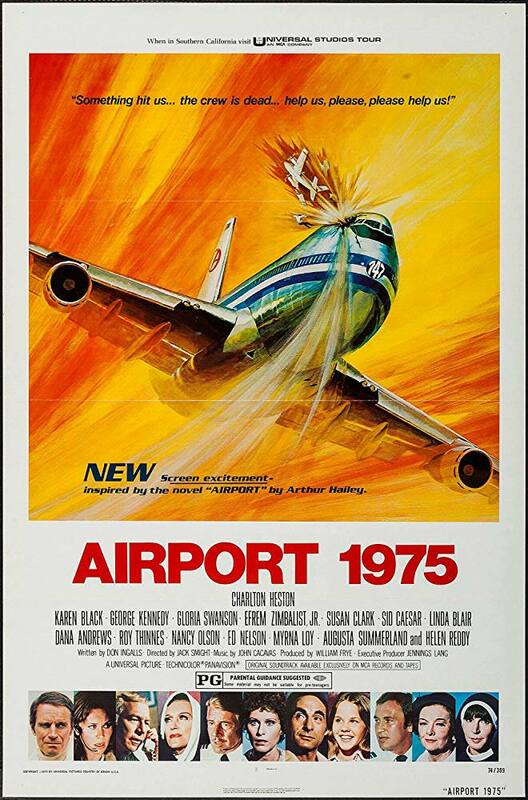 -Airport 1975 (1974) – 4 famous movie stars literally playing themselves for no reason whatsoever outta 10. 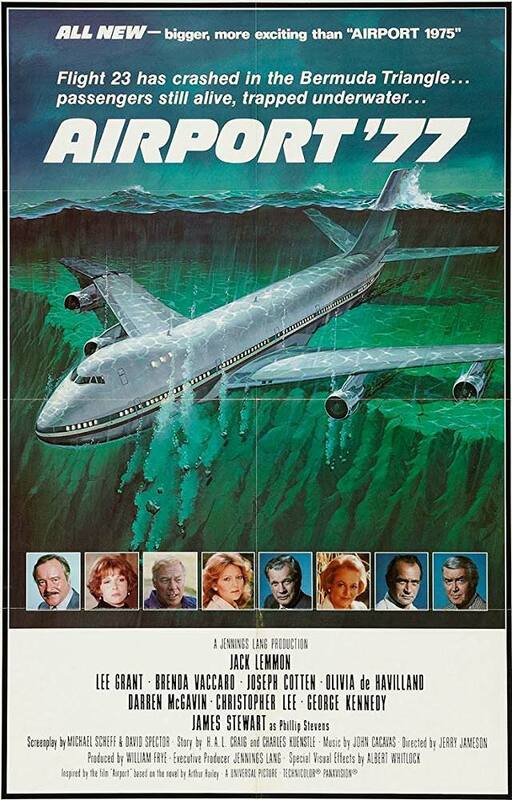 -Airport '77 (1977) – 3.5 blind piano players being crushed by their own piano outta 10. 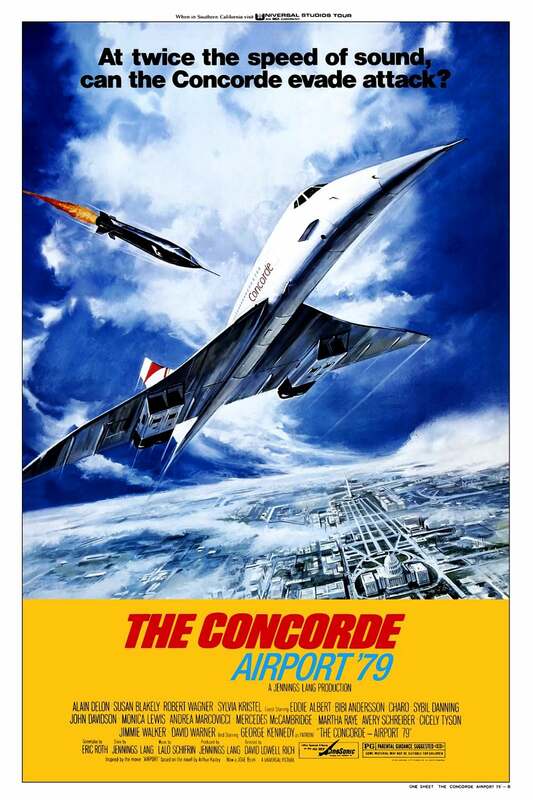 -The Concorde...Airport '79 (1979) – 1 elderly woman with bladder trouble being tossed around an exploding airplane toilet outta 10. The only one I really, truly, recommend is the first, unless you're a hard-pressed #DisasterFilmFan™ then maybe it would be worth it to watch the second, but none of the rest of the franchise hold a candle to the original. It's LITERALLY what started the whole disaster craze & remains consistently thrilling/tense with such a relatively simple, yet realistic premise that only stumbles when it gets overly melodramatic at times & stretches on a bit too long at the very end. For the most part, though, the ensemble makes you ignore some of the draggier moments & I'd honestly say it's probably the best disaster film I've ever seen because of how realistic it is & how much it makes you care about the characters. 1975 is more concerned with stunt casting to the nth degree & shoving in as much spectacle as it possibly can, which does admittedly work from time-to-time, but doesn't help its pacing because it feels MONUMENTALLY longer than the first, even though it's 30 minutes shorter. '77 more or less carries that same sentiment over, even if it has a stronger start & makes you think it's gonna hold itself together more, but at the end of the day, it abandons the plot that it used as a set-up to begin with & basically turns into The Poseidon Plane, which is as boring as it sounds like it is. As for '79, it just wastes away existing in as many random character types, unnecessary guest stars, convoluted plot lines, & ground-level drama as it can feasibly shoved into its running time instead of giving anyone the good stuff on the airplane until the very end after an ABYSMAL "build-up," which is the only reason why anyone would be watching this to begin with, effectively making this the most worthless of the franchise & quite possibly one of the worst "disaster films" ever made that I couldn't even find any #SoBadItsGood enjoyment in. Average Score: 4 outta 10.